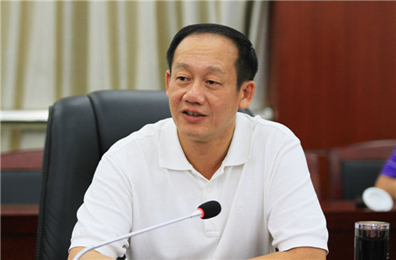 Chen Jun, secretary of the Ding'an County Committee, indicated that Ding’an would carry out the new concept of development, promoting high-quality economic development, carrying out the whole process of economic and industrial development through supply-side structural reform and focus on creating tropical high-efficiency agriculture, high standard modern service industry, developing the tropical high-efficient agriculture transformation and upgrading, promoting environmental protection industry to foster the modern service industry and other aspects of continuous efforts. Therefore, Ding’an would pay close attention to the landing of the project, creating a first-class business environment, vigorously promoting the landing of key projects, setting up a "nanny team" for the project. We would track the service project throughout the course of the project, setting up a project combat team, solving the highlight problems in the process of the landing projects. In terms of strengthening the construction of ecological civilization, we whould conscientiously carry out the responsibility of the party and government departments for ecological protection, comprehensively carrying out the system of the river captain, the lake captain, the mountain captain and the forest captain, carrying out the "beautiful Ding'an" project, continuing to push forward the "six major special rectification projects." In terms of overcoming poverty and tackling key problems, we would fill the short board of education, culture, and health, implementing the project of cultural benefits for the people, strengthening the protection of people's livelihood. We would speed up the construction of infrastructure on the five networks, also continue to make efforts to share the development with the people.